Letter to African Compatriots: Together, we can Build the Africa of our Dreams - The Embassy of The Republic of Kenya, Addis Ababa, Ethiopia. I am honoured to write to you as we usher in the year, 2017. In September 2016, I was nominated by the President of the Republic of Kenya, H.E. Uhuru Kenyatta to contest for the position of the Chairperson of the African Union Commission. For me, this nomination is a call to contribute to Africa’s destiny, to deploy my professional and managerial competencies, experience, and wide range of networks to give traction to the African-agenda. I take it as an honour and sincerely hope and pray that Africa’s Heads of State and Government will, during their consideration at the African Union summit in January 2017, grant me the opportunity to serve and contribute to the realisation of the Africa’s prosperity, growth and sustainable peace and stability. Since that nomination, a campaign team, supported by the East African Community countries, has visited more than 40 countries in Africa and met Heads of State and Government, Ministers, diplomats, members of the business community and Africans, young and old. The campaign has also benefited from a number of African professionals drawn from across the continent. These personal encounters have been warm and embracing, and have emboldened my zeal and determination to serve our motherland, Africa. I, therefore, write this letter to express my gratitude for the messages of goodwill and the sound advice I have received from across the continent that has crystallised my vision for Africa. I also write this letter to invite you to join me in the journey of realising Africa’s destiny created by the collective action of all of us. As I traversed the continent, I have encountered the genuine spirit of our people, their generosity, warmth, kindness, resilience and optimism. While this beauty and diversity is so endearing, our people are unable to experience its depth due to shortage of links to aid movement of people, goods, services and capital. Enabling interactions among our people and especially our youth is a debt that we owe to the present and future generations. We have to carry and pass on the baton of the founding fathers of this continent, who recognised the strength of collaboration and common dialogue during their younger years. Their interaction, aided by intellectual quest and the dream of a free and dignified Africa brought us liberation, freedom and political independence. Many paid the ultimate price to grant us the freedom we thrive in today. Today, the possibilities of Africa’s growth and prosperity are real. We represent the world’s second fastest growing consumer market with a rapidly growing labour and market base. We are a global hub of innovation, entrepreneurial talent and creativity. African youth are taking advantage of available resources to curve out transposable solutions to some of our most pressing challenges. In sum, our youth are our currency. This century is theirs and Africa’s! To harness their potential, we must collaborate both politically and economically. We must work in partnership and integrate in a manner that catalyses Africa’s synergy and diversity. Beyond the efforts that must be undertaken within our various African countries, common solutions reside in our collective wisdom embodied in the Constitutive Act of the African Union. Our priority should be to our people: To empower and afford them real opportunities to grow, to prosper and to live in dignity. This is a sacred call of duty that can only be accomplished mutually, without leaving anyone behind. A leader is not one who makes the farthest strides to the front but one who brings everyone along to the desired destination. That is the approach that we must embrace in order to build the Africa of our dreams. This must be our vision and action as we embark on this New Year. To shape the common destiny of mother Africa; the destiny of the African people. Our heritage, our history, our African views and our shared values can and must inform our approach to solving our most pressing challenges. Join me in creating the African destiny within the framework of the African Union Commission. Happy New Year, 2017. Long live Africa! *Amb. 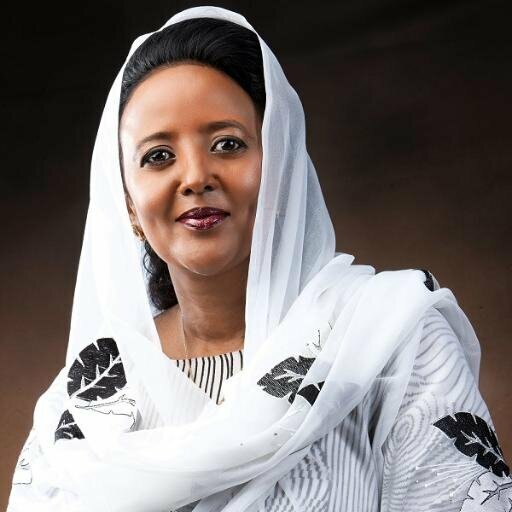 Dr. Amina Mohamed is Kenya’s Minister of Foreign Affairs and Candidate for the position of Chairperson of the African Union Commission.